Welcome to my blog. This is my first try to do this so please bear with me as I try to figure out how this thing called “blogging” works. I am a teacher by profession so the first thing I looked for when I was searching for an online job is something related to teaching. I have not set foot in a classroom setting for the last 6 yrs, well, so yeah, since I got here. But technically, it’s only been 4 yrs since I have stopped teaching. The reason? My first work at home job is online teaching, tutoring, if you may. Yep, I did that for almost 2 yrs. It’s very challenging and frustrating at the same time because you don’t see your students face-to-face and you don’t know if they’re making faces while you’re trying to teach them something. I enjoyed it for as long as it lasted but I don’t see myself doing it again. I had some pretty nice students but I also had my share of not so pleasant experiences. After 2 school years of doing it, I decided to stop and concentrate on my other job – coding. I landed my first coding/data entry job in April of 2003. One coding company did a massive hiring spree back then and I was one of the not so experienced that got lucky and got on board. I am now working for 3 different coding companies. I really like this job because you can do it just about anytime...if the work is there. The only downside doing this job is it’s very sporadic, workwise. Since the 3 companies I work for cater to the same kinds of clients, when there is no work in one company, the other 2 would probably have no work as well. Right now, it’s S-L-O-W that’s why I thought of starting a blog…who knows, this maybe my next ‘raket’…LOL!! I've been reading some of my fellow pinays' blogs [a big time lurker here]and from what I've been reading, they're actually making money doing it. This is one of the first jobs I applied for but did not get it right away. The name of the job pretty much tells what I do…I score online. What do I score? Students’ responses to open - ended questions. It’s only seasonal since these tests are taken by students as some kind of assessment tests. It’s a good thing because it is a boring job…LOL. It’s hard to pass up because it is easy enough and it pays better some of the jobs we find outside the house. So when it’s available I try to score until I feel my eyes closing from boredom... or until I ran out of items to score...whichever comes first or happens first. Not knowing how to drive is the reason why I looked for something I can do at home and my working at home may be the reason why I’m not in a hurry to learn how to drive. How’s that for irony?? Anyway, I really need to do the driving thing soon because my little one needs to have interaction with kids her age. Welcome to blogging! Life as a WAHM mom is tough. I'm glad to find your blog. Hi Thank you for finding my blog. I was a teacher too. I haven't teach since 2002. Anyways, take care and will be back soon. hi Juliana! TY for visiting my other blog. I am interested in ur scoring and teaching tagalog gig, can u hook me up on that? IM me at tesbmon if u have time, please. BTW, i sure can add ur link in this blog because my bravejournal blog is already full, it is very limited there. I appreciate it very much if u could add me too. Thanks a have a great day and good luck to us wahms! Juliana, TY sa pag add, pakisama naman itong blog ko sa sa blogspot if Ok lang sau. Ty sa chat kanina. enjoy the rest of the weekend! anyways, wow!!! u'v gone thru a lot of jobs at home, huh?! cool and good for u! me, i tried the medical transcription but i didn't finished it. sobrang hirap eh. so when i got pregnant i really decided to stop. too bad i only learned this blogging recently, tagal ko na sana itong naging trabaho. hmp! but ok lang.. at least now, i've started this and actually been gotten paid, so not bad at all! ok Jul, see u araound! i liked your blog even though i have just started it..You inspire being a work-at-home-mom with so many jobs and taking acre of your daughter. 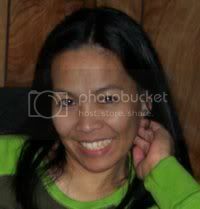 I am also a WAHM.I am here in our home country Philippines working as a homebased medical transcriptionist. I hope you like me visiting your post regularly.